The weather looked a bit nice today. It was overcast, but didn’t look like it would rain, so a good friend and I decided to take a nice leisurely tour to a nice little spot just west of the city called Gros Cap. The nice thing about this route, the speed limit is 80Km/h most of the way, so I got to enjoy some highway driving in a not so traffic congested area. Just perfect for a new rider like me. It is the first time I reached and sustained these speeds on my motorcycle. I loved every minute of it. The floating sensation everyone says is quite true. The feeling is indescribable. It was also the first time I took out the new helmet. I must say, I think I am starting to hone on what I like in a helmet. This one, although visible, and for this area, very different, has a few detractions. The chin strap could have been an inch longer, the ear muffs and neck padding is not removable and the helmet does not have a small sun visor. I can see where I might have a collection of helmets before I settle on the perfect one for me. It is good to have a few extra helmets anyways. 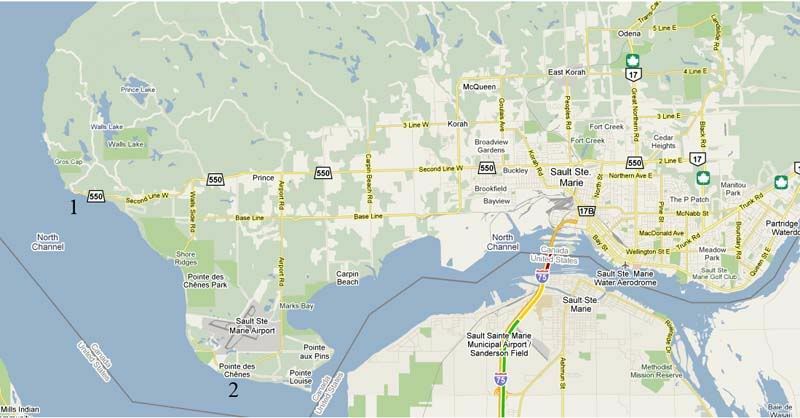 Here is a map of the area for your information. We traveled West on Second Line W out of the city into Prince Township. The street is one of the area’s longest. We reached the end, which is a nice rest area with a nice view of the North Shore at Gros Cap. It is at #1 on the map, and where the following shots were taken. Here is a beacon station on the American side. It is run by the Army of Engineers. I had to zoom fully on this, and never noticed the helicopter pad, or the bow shaped concrete facing into the current. To the naked eye, it is an indistinct white blob, so it is a good distance away. 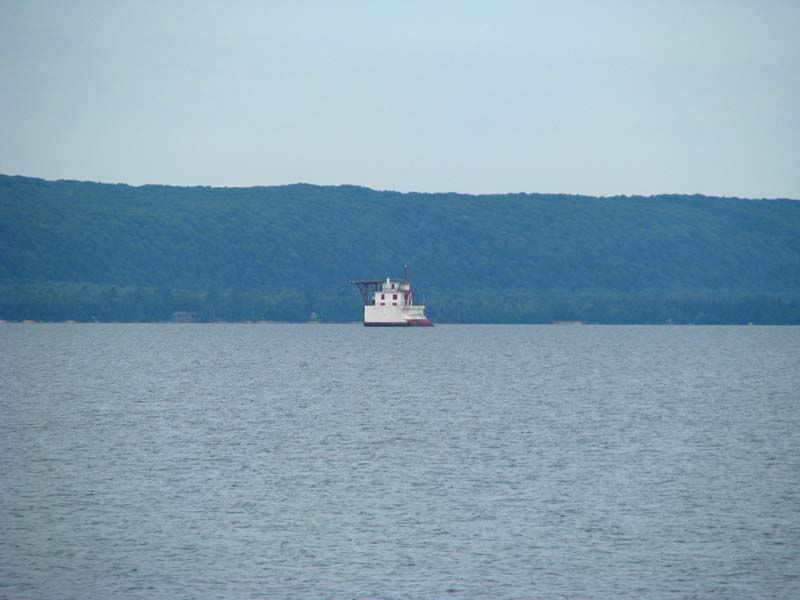 All Great Lakes freighter traffic comes through the area if they need to ship out of Lake Superior. This beacon station is just a part of the Great Lakes shipping channel system. 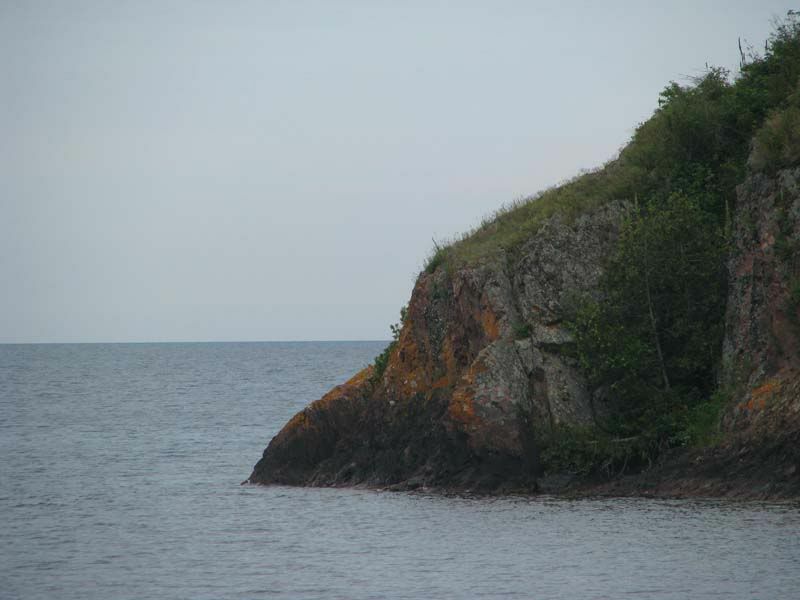 Here, you can see the nice rocky shore on the Canadian side looking out into the North Channel. 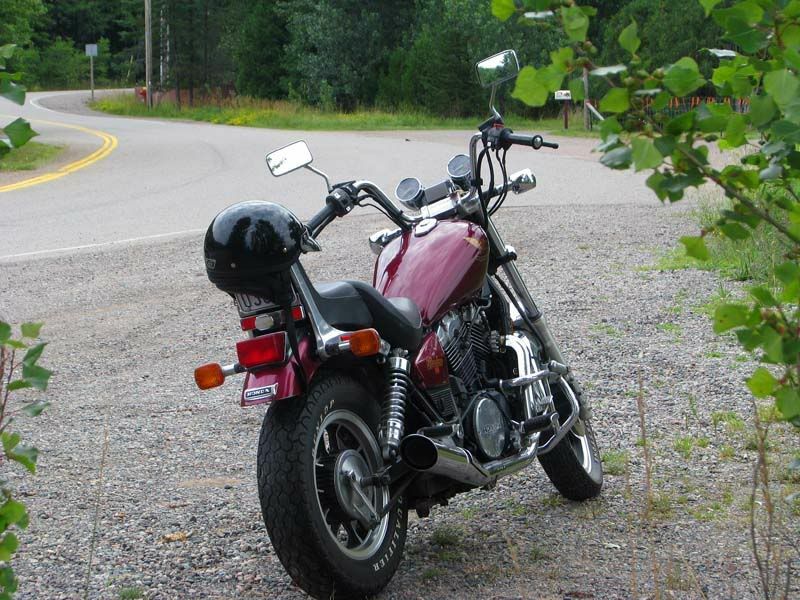 My friend’s motorcycle, a Honda Shadow 750. 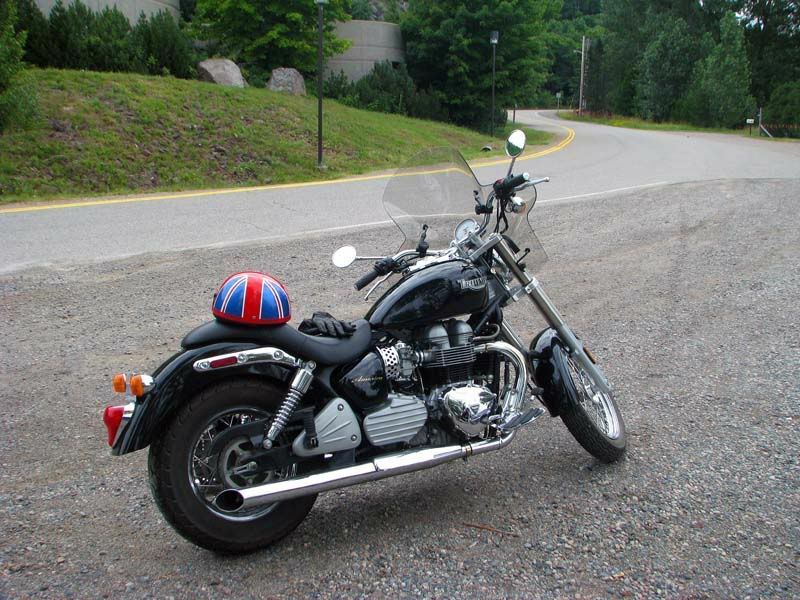 And of course my 05 Triumph America. There really wasn’t much to take photos of. There was a chipmunk, but every photo I took of him turned out blurry, as I knew it would. These point and shoot type cameras are no substitute for a DSLR with nice glass. 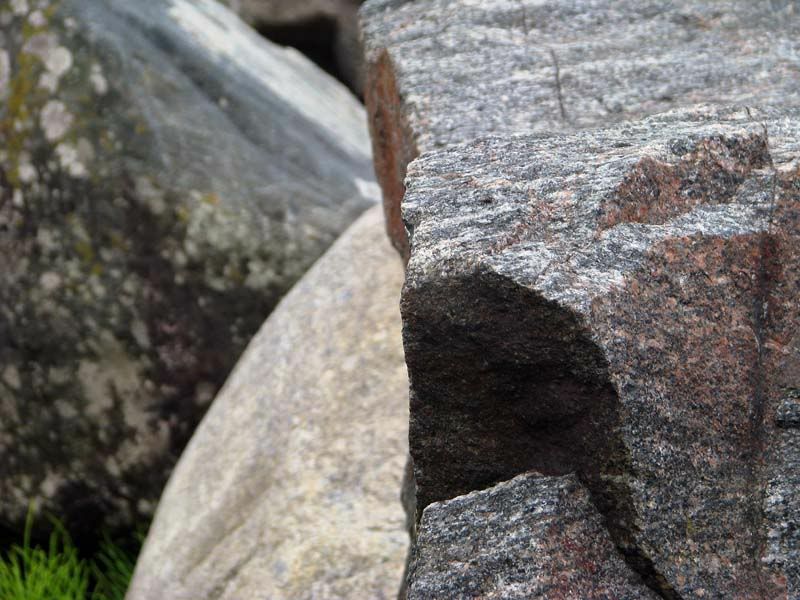 However, some of the rock photos turned out ok…because they were not moving. After taking a 30 minute break at Gros Cap, we decided to take Airport Road down to Point des Chain beach area. Because the weather was not that nice, there were very few people at the local beach. 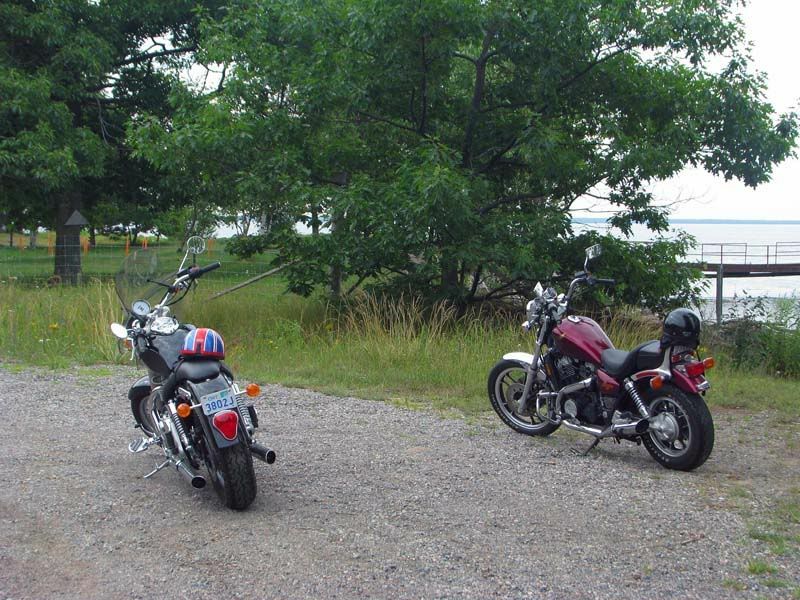 We once again parked our motorcycles and went in for a little walk. 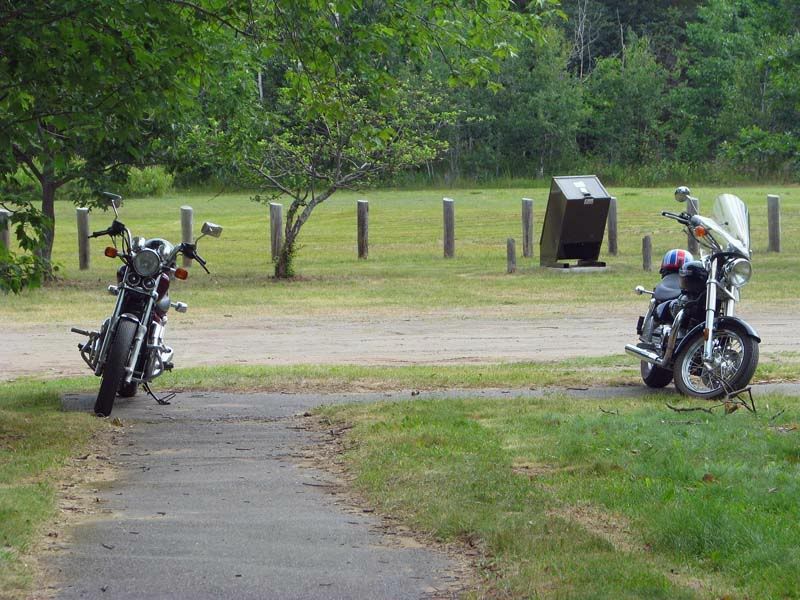 Here are our motorcycles parked in one of the many parking lots…all empty. Once again, most moving bird shots I attempted came out blurry. I had forgotten how bad these little cameras are for action photography. 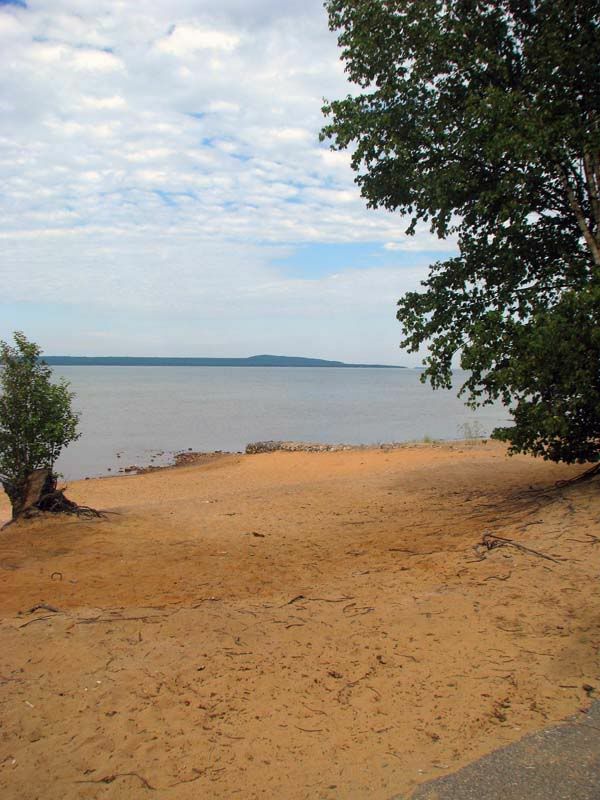 But here is a very very small part of the beach. On a bright warm sunny day, this place would be packed. Today, barren of most human life. Overall, we were out for about 2 hours. It was fantastic. I have to wonder why I never got into motorcycling before. No regrets. Re: A nice motorcycle ride. It is a very nice area. very nice looking ride! You are correct about the helmets, its a b*$ch finding a helemt that fits and doesnt have a lot of little nit picks. sure wish I was in your neck of the woods so I could ride with you! Yes, I can see the helmet aspect getting a bit more expensive with time. I hear you. However, I can't find a full face helmet that fits locally. My nose gets in the way, or my melon is unusually large. Either way, I can't find a local helmet that fits me. I do know that a 2XL half helmet does. A 2XL face shield helmet does not. I am loath to buy one of those over the net as I know it probably wouldn't fit me. I think I am going to go down to the local helmet shop and see if they can figures something out for me, I would love a modular helmet that fits. I already have two beanies. Maybe I should go retro and get one of those 70s style Marvin the Martian type lids?